Mastering Black and White Digital Photography - Black and white has an enduring appeal that just keeps on growing. Above all, it's a medium for the fine print - one that benefits immeasurably from digital technology and inkjet printers. 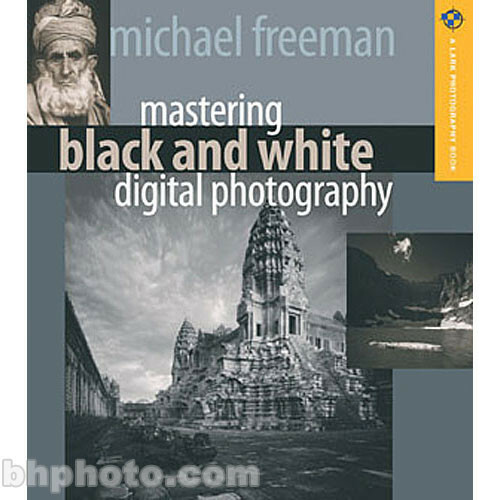 Written by a photographer well-known for his ability to explain complex digital concepts to a variety of audiences, this essential guide on the art of black and white is packed with information, hints, and tips, along with a plethora of stunning images. Discover how our colorful world translates into black and white and how to create a stunning monotone image. See how to render colors as gray tones and how to manipulate the tonality for dramatic effect. Experiment with high contrast, infrared, and pseudo non-silver looks. You won't believe the wonderful results you'll achieve. Box Dimensions (LxWxH) 9.25 x 8.3 x 0.4"